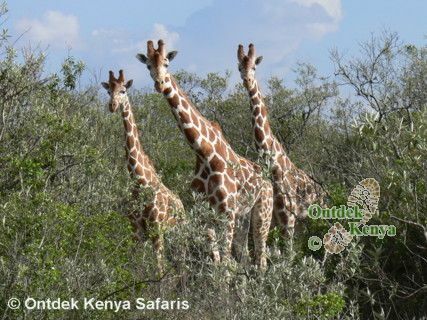 Ontdek Kenya organizes photo tours designed on the principle of spending quality time in selected parks to allow for a thorough nature photography exploration. This tour covers the northern Kenyan parks of Samburu and Sweetwaters, which are a sharp contrasts to Masai Mara, Amboseli or Tsavo. Remember that we present you with information on different parks and we then customize your photo tour to cover the areas you are interested in. Situated in the dry northern Kenya with 3 game reserves: the main Samburu, Buffalo Springs and Shaba. Note that Samburu and Buffalo Springs are separated just by a bridge and Shaba is cut off from the other two by a road. Samburu's lifeline is the Ewaso Nyiro, strong and overflowing with the rains and at times of drought it can be reduced to a dry sand bed. The general landscape is dry open grasslands, scattered hills but lush vegetation along the river – and this is where most game is concentrated. There are huge herds of elephants, giraffes, zebras, buffaloes, elands and various gazelles. Of note is the occurrence of a unique northern species: the gerenuk, a long-neck gazelle that feeds standing on its back legs and also the unmistakable Grevy’s zebras. Cats abound in plenty and it is possible to see lions, cheetahs and leopards. The combined parks are home to a recorded + 360 species of Kenyan birds. For photo safaris Samburu is worth visiting but to appreciate it fully we recommend min 3-4 nights. Consider that this is a hot place, day temperatures keep most of the animals hiding in the shade, so you need more periods of cooler hours to make your photo safari worth it. On your photo safari we recommend that you have 2 bases while in Samburu – start with 2 nights Samburu or Buffalo Springs and then cross over to Shaba for another 2 nights. In any of the lodges that you will stay, they possibly will put a bit (a chunk of meat) for the leopard and the crocodiles to come and eat in the evening. Ok – you know this is not a natural thing but it can be a good subject on your photo safari. This is a 24,000 acres private reserve in the Laikipia area and it serves a niche group of travelers. The habitat comprises of extensive savanna grasslands and riverine forests that border the Ewaso Nyiro River. It is home to elephants, rhinos, buffaloes, giraffes as well as other plains game and it has the highest ratio of game-to-area of any national park or reserve in Kenya. Of note is the presence of wild dogs which are now occasionally seen in Sweetwaters. Being a private conservancy, conservation is given high priority and the number of visitors is deliberately kept small by having an exclusive tented camp. All tents are set by the floodlit waterhole where game comes to drink & lick salt. Within Sweetwaters there is a 200-acre Chimpanzee sanctuary set up where orphaned and rescued chimps are reared and rehabilitated to once again fit in the wilderness. Allow min 2–3 days for a quality photo tour in Sweetwaters. 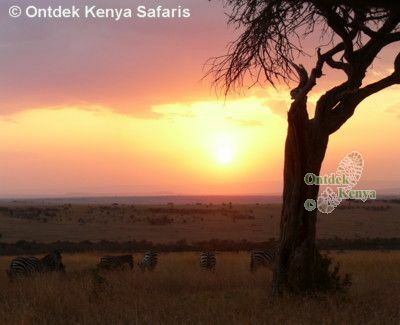 For a consultation on Kenya photography vacations contact Ontdek Kenya Safaris. We have over 20 years of experience in organizing of photo safaris in Kenya.